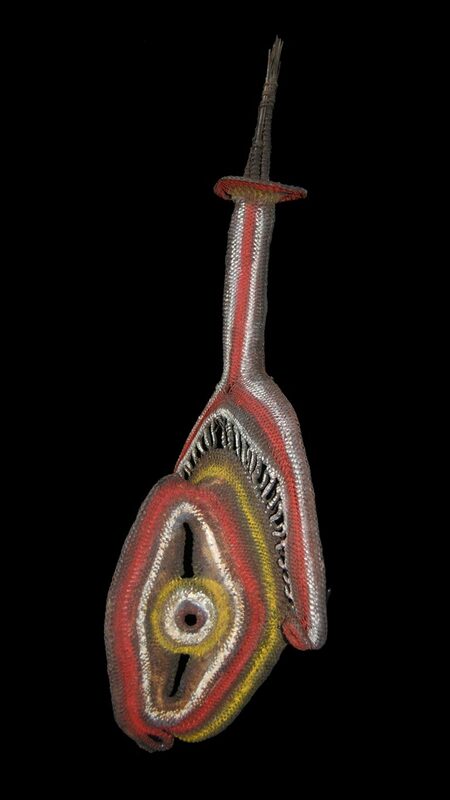 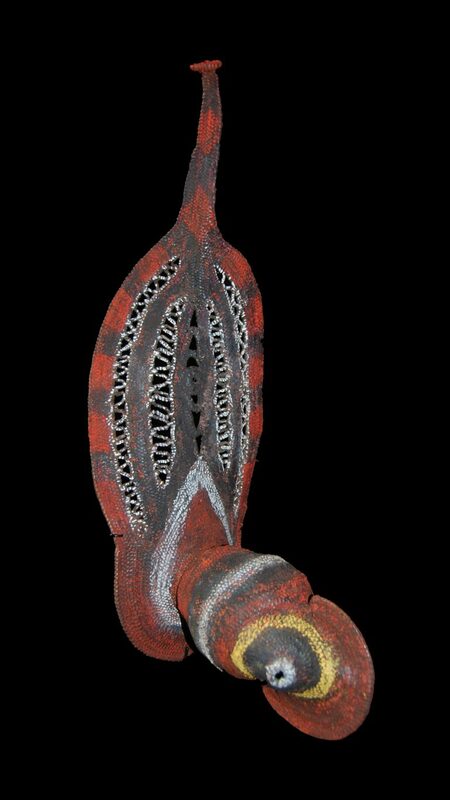 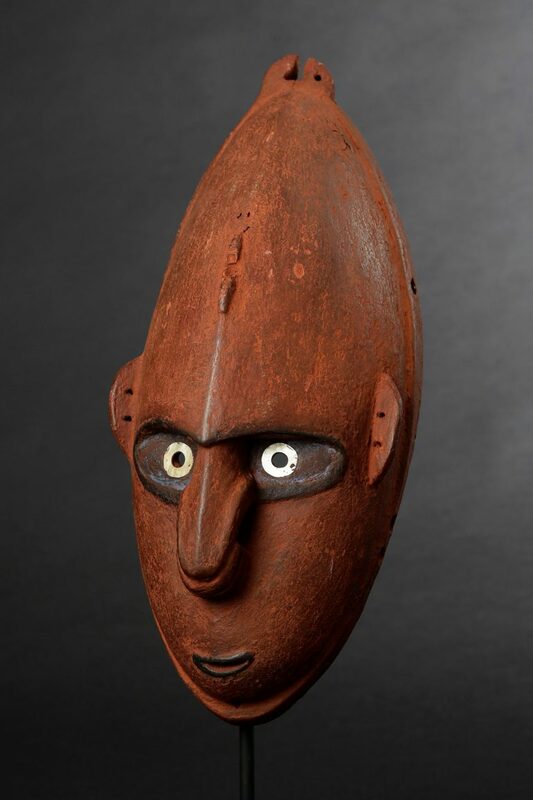 New Guinea Masks & Masks from Vanuatu were used in the initiation ceremonies of boyhood to manhood. 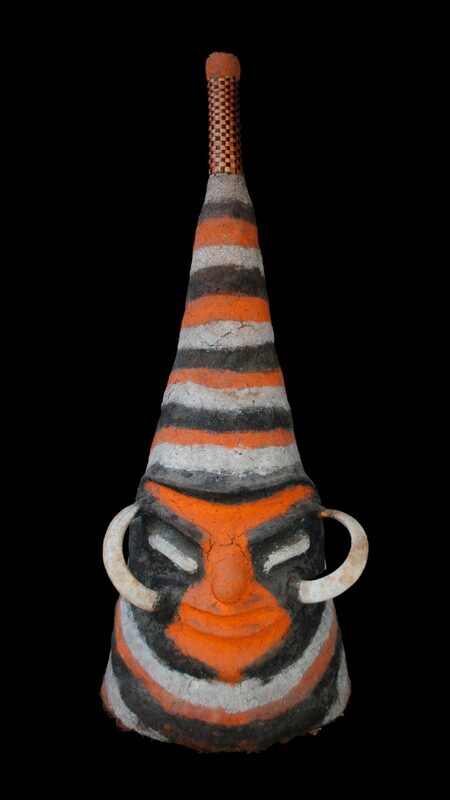 Masks represent the spirits of totemic names. 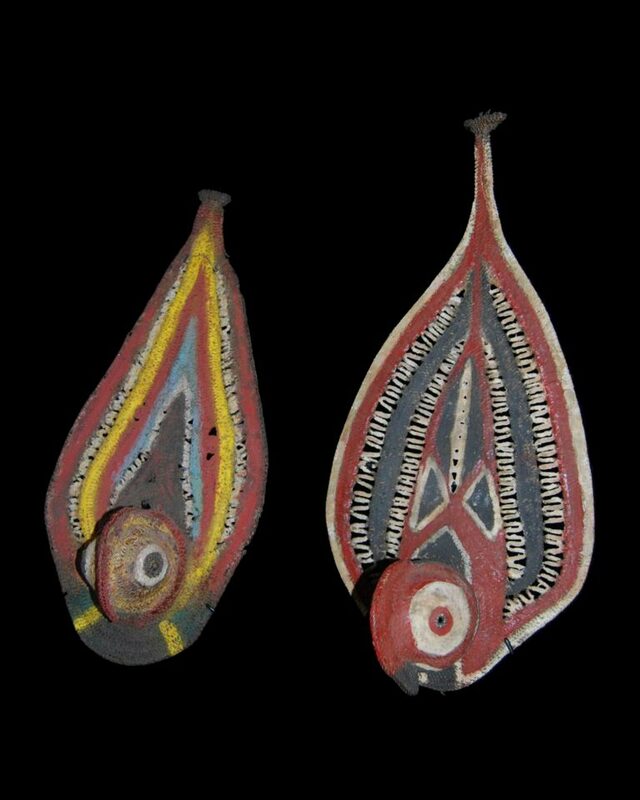 They are attached to conical dance costumes and festooned with feathers, leaves and small ornaments. 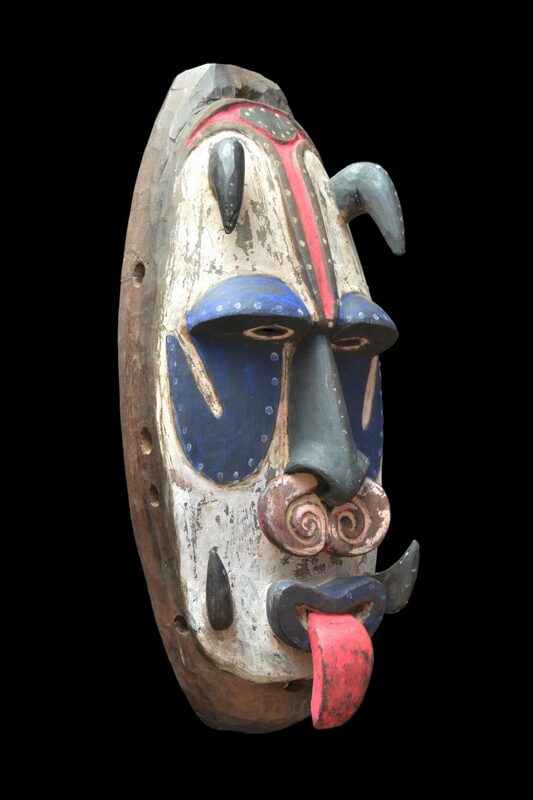 The elder who uses the mask becomes a spirit teacher. 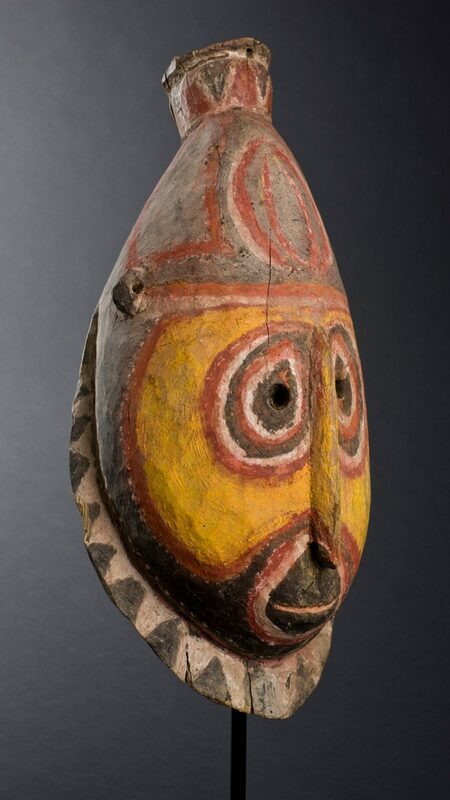 It should be noted that few masks are worn directly over the face – a fact made obvious by the lack of eye-holes. 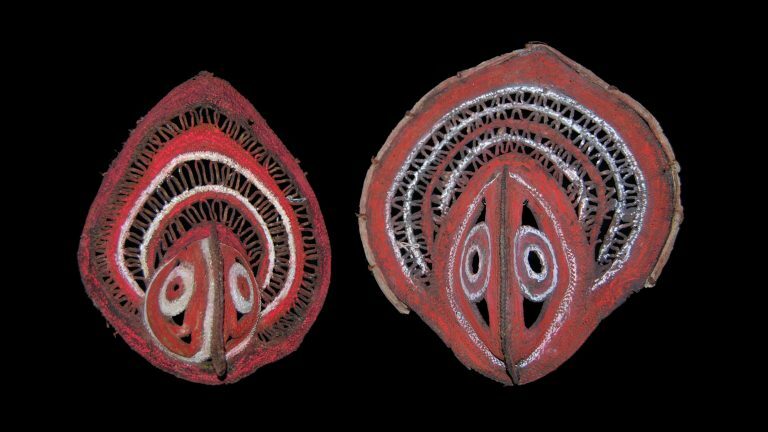 They are mostly mask forms of ancestor / spirit boards.